Credit: Image courtesy of Bloom Energy. A small, but growing, amount of data centers in California are having fuel cells installed onsite, offering a cleaner and more direct way to access electricity compared to the power grid. The latest came on Monday, when telecommunications company CenturyLink (s CTL) announced that it’s bought a couple fuel cells from startup Bloom Energy to help power a data center in Irvine, California. Fuel cells are devices that combine a fuel like natural gas with air and turn it into electricity through a chemical reaction. Bloom Energy’s fuel cells are “solid oxide fuel cells” that use a solid ceramic material as the electrolyte part of the fuel cell (if you think of it like a battery that has an electrolyte, an anode and a cathode). CenturyLink’s data center in Irvine is operated by Savvis and the data center powers cloud, managed hosting and colocation services. Bloom Energy has increasingly been targeting data center operators by making its fuel cell systems ultra reliable — web site customers need their sites to stay up 24/7 as a critical part of their business. Data center operators are becoming interested in fuel cells as a way to become less dependent on the power grid, and also as a way to make their power sources cleaner, and to meet sustainability goals. CenturyLink’s small move is just the latest telecom and Internet company to start dabbling with fuel cells in California. 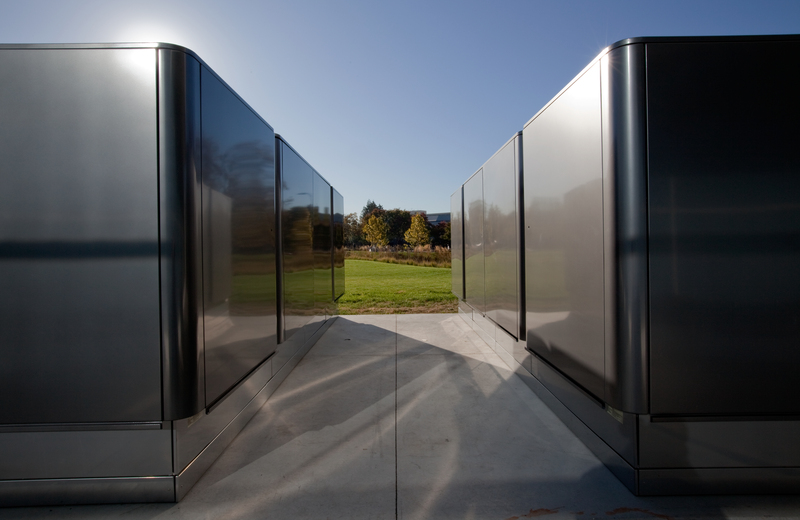 Other companies that have installed Bloom Energy fuel cells for data centers in California include Verizon (ten fuel cells), AT&T, NTT America (five fuel cells) and eBay. eBay also has a huge fuel cells data center project in Utah. Adobe has a large installation on its rooftop in San Jose, Calif.
California is one of Bloom Energy’s most important markets. The state offers valuable incentives that lower the cost of the fuel cells in the state. Verizon bought fuel cells from another vendor outside of California, but inside California went with Bloom Energy. While fuel cells are still a very small part of the power sources for data centers, new projects are coming online that show how fuel cells could be a larger part of the equation. eBay’s Utah data center is powered primarily with fuel cells, and it’s using the grid as backup power. 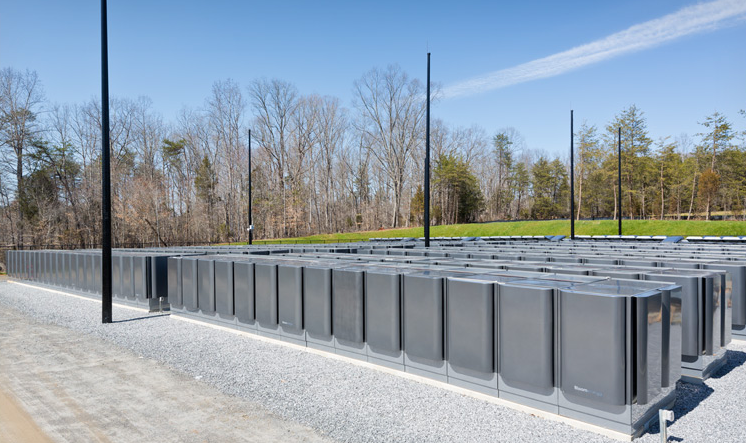 Apple has also installed a large amount of fuel cells at its data center in North Carolina. This is such a nice thing to imagine. What if stuff like factories use this form of energy? Our planet should be happy. If natural gas is used, how is trading one finite, mined resource (oil) for another “cleaner”? What this amounts to is a green washed backup generator. Sweet, a question that is easily answered. Fuel cells produce less emissions and are a more efficient power generator per unit of fuel. Therefore, they are cleaner than a combustible engine generator, and also stretch the supply of natural gas. Understood – your answer focuses on the “tail pipe” end of the consumption chain, which I get. Ideally I’d like to see a breakthrough solar storage system being bankrolled by anyone vs. another tech reliant on fossil fuel, as cool as it may be. do you even know who KR Shridar is….? He reversed engineered his technology that was patented for NASA’s the Mars Rover Missions. Bloom boxes have zero carbon emissions and if you understand what Natual Gas is… it covers a plethora of resources including Ethanol that can be derived from corn. Fossil Fuels are not Natural Gas. Natural gas is a naturally occurring hydrocarbon gas mixture consisting primarily of methane, but commonly includes varying am…etc. etc. It’s a finite resource, ’tis the point, but you missed that. I have, subsequently, looked up “Bloom box” and KR…fascinating stuff. Nevertheless I plan on reading up on the topic. Thanks for the references. Nice. The only bad thing about fuel cells is how freaking heavy they are. Just getting them around is a pain. (Notice the concrete footers they need). I’m also a little skeptical for the next few years. These run on cheap natural gas, but if we start exporting it, prices could spike up 2-3x.